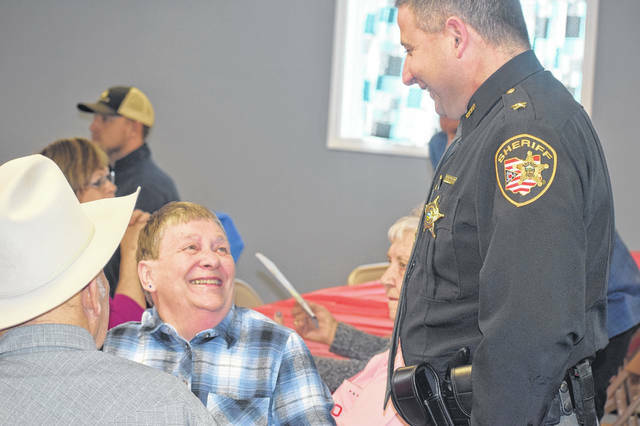 Montgomery and Preble County Farm Bureaus hosted their annual legislative luncheon meeting on Friday, March 29 at the Dull Homestead in Brookville. 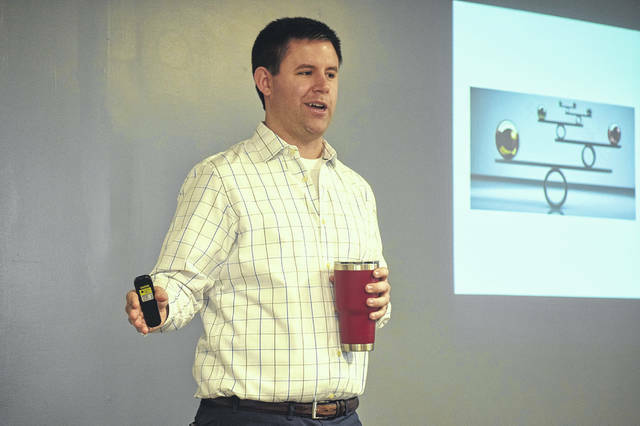 The meeting focused on agritourism with guest speakers Ryan Conklin and Amy Milam. Pictured, Milam speaks to those attending the luncheon. 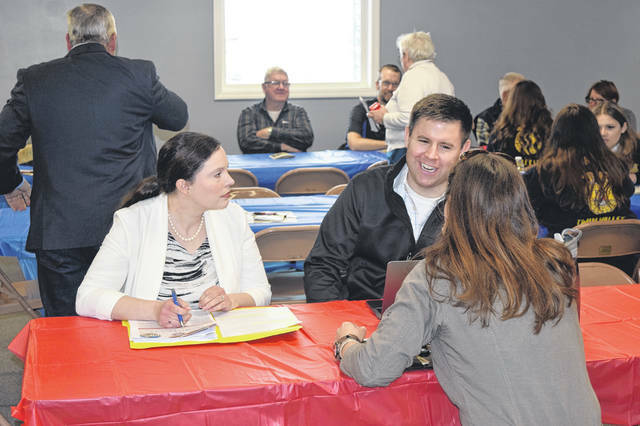 BROOKVILLE — Montgomery and Preble County Farm Bureaus hosted their annual Legislative Meeting on Friday, March 29, at the Dull Homestead in Brookville. The meeting focused on agritourism with guest speakers Ryan Conklin and Amy Milam. Conklin is an attorney with Wright and Moore Law Co. LPA in Delaware, Ohio. He assists Ohio Farm Bureau with assorted presentations, policy development efforts, and advisory committee obligations. Milam serves as director of legal education at Ohio Farm Bureau Federation. 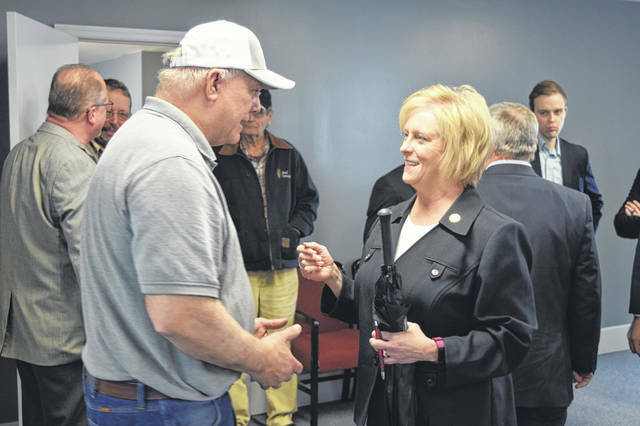 In her position, she provides legal education and information on agricultural issues to Ohio Farm Bureau members, monitors legal cases important to agriculture and review proposed legislation at the state and federal levels. Milam began by speaking about the agritourism legislation in Ohio and different priority issues for Ohio Farm Bureau. Agritourism is defined as an agriculturally related educational, entertainment, historical, recreational, or cultural activity that allows or invites members of the public to participate in that activity. The activity in question is does it have to be on a farm to be agritourism. According to Milam, the three key issues which needed to be solved with legislature included: keeping land in the CAUV program, ensuring agritourism operators can receive liability protection, and creating a reasonable zoning scheme. On the CAUV side, prior to the legislation clarifying the law, there was a lot of confusion across the State of Ohio. There was struggle to reconcile the requirement land be devoted exclusively to agricultural use to be on CAUV and having non-traditional ag production on the farm. “The law clarified that the presence of agritourism does not disqualify an otherwise qualifying parcel. 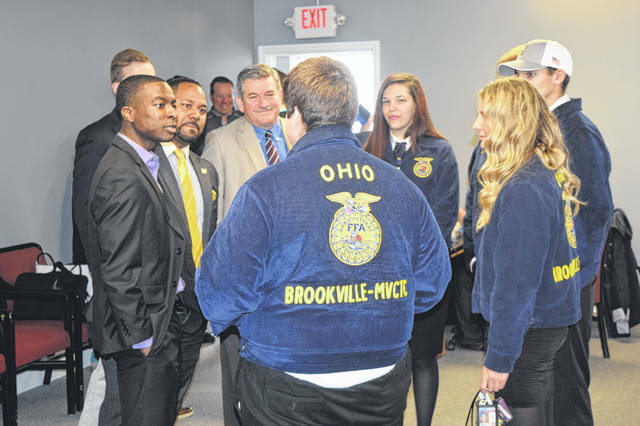 Making sure that there can be certainty across Ohio that if you have agritourism activities on your farm, as long as your farm meets CAUV qualifications, if you add agritourism activities to that farm they cannot disqualify you from CAUV,” Milam said. “Huge part of the legislation will be touching on civil liability immunity. Just some background here, many Agritourism operations were facing extreme challenges getting insurance for their operations as they started to allow more folks from the general public onto their land. Some that testified on the bill experienced astronomically high rates for their insurance and some could not secure coverage at all. She added, the civil liability touches on inherent risks. An agritourism provider is not required to eliminate all inherent risks that comes with being on a farm. A provider should do all they can to make the activity as safe as possible and should post appropriate warning signs on their farm. The statue dictates the exact wording that must be utilized on those warning signs. Milam added, make sure you have “abundant signage” on your farm. Those signs are available from the Preble County Farm Bureau for members. 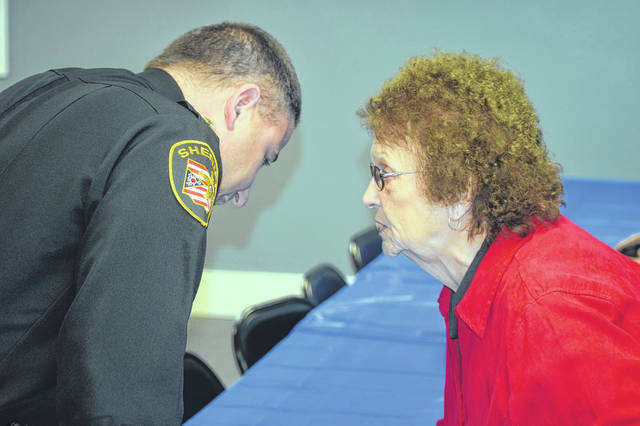 Conklin spoke about strategies for involved parties working together. 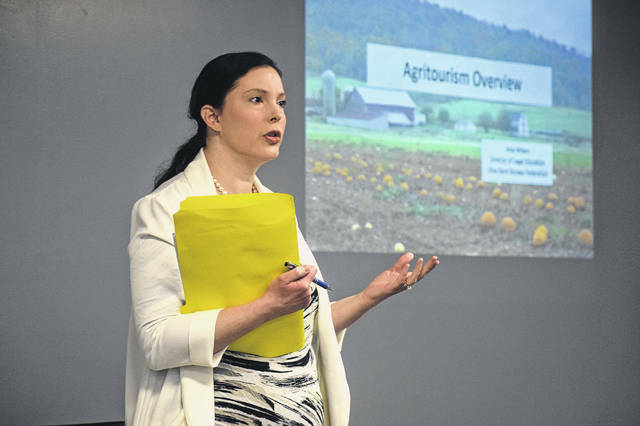 “If you have an agritourism operation that is bringing business through the door, the agritourism law that was passed states that there is nothing your zoning authority can do about it. 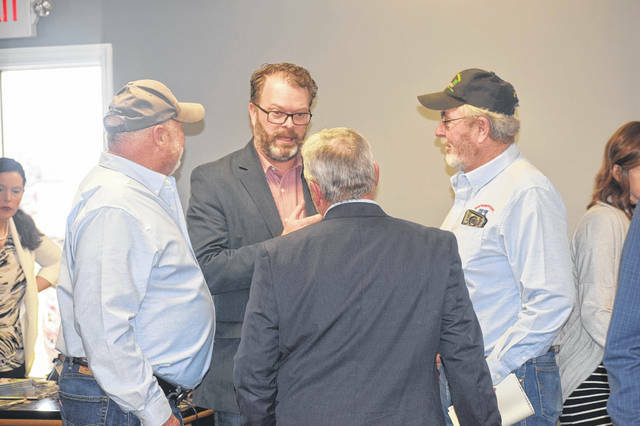 If you have all of these statutory exemptions and agritourism and have been given the green light from the legislators, why does there continue to be friction between land owners and political officials on these issues?” he asked. “That is because you get competing interests from the two sides. I really see it as a bit of a boxing match, where you have in one corner land owners who have statutory exemptions, but in the other corner you have local officials whose primary goal is to protect the public, health, safety, and welfare. What we have been recommending to clients, is now to go for the proactive approach. Talk with your zoning officials and building offices. You have so much invested in these businesses, you’re trying to get operating, the best approach I can come up with is approaching them on the front end. 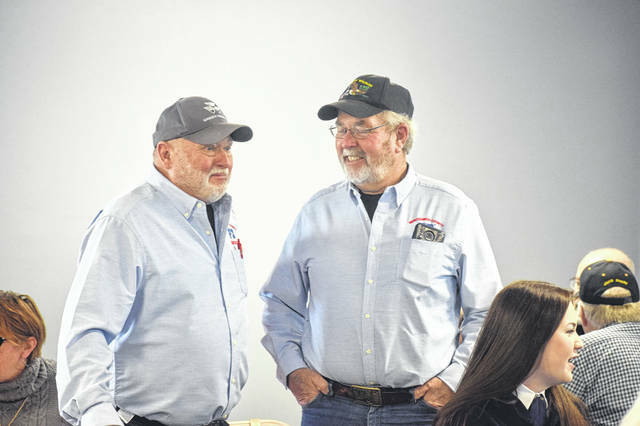 Conklin and Milam also spoke to the public and answered personal agritourism questions. 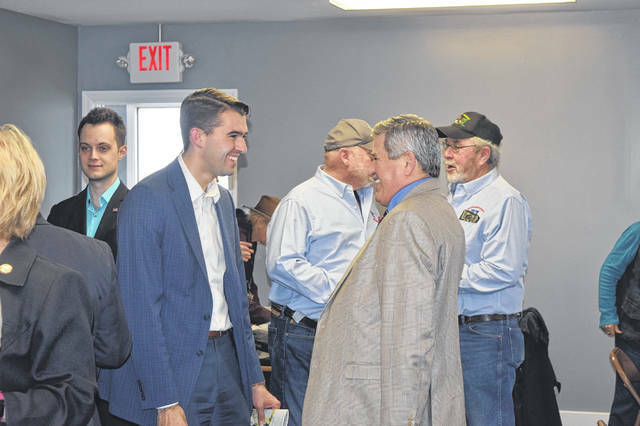 https://www.registerherald.com/wp-content/uploads/sites/41/2019/04/web1_Farm9.jpgMontgomery and Preble County Farm Bureaus hosted their annual legislative luncheon meeting on Friday, March 29 at the Dull Homestead in Brookville. The meeting focused on agritourism with guest speakers Ryan Conklin and Amy Milam. Pictured, Milam speaks to those attending the luncheon.